To fly FPV, you'll need a pair of FPV Goggles (also called video goggles) and/or a FPV Display screen. These are basically what you'll be looking into/at to actually see what is going on up there allowing you to pilot your aircraft FPV style. 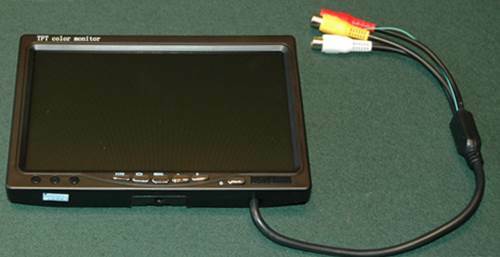 Any video display device that accepts an analog video signal will work. If you feel like hauling your big-screen TV out of the family room to the flying field - go for it! Of course, that isn't very portable or practical; not to mention the ramifications that WILL occur when your better half finds out. So the majority of FPV fliers use something a little bit smaller and easier on the relationship. 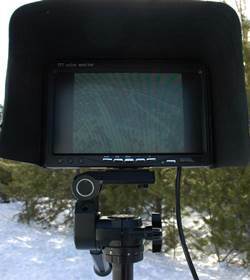 There are several digital HD FPV systems on the market these days, and they of course will require digital HD connectivity to an HD screen (usually by way of an HDMI connector). 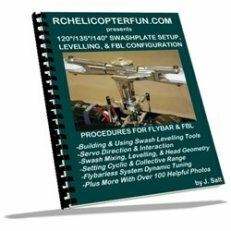 This page is primarily geared toward the most common form of hobby FPV video systems - analog. Most FPV displays are simple and inexpensive small 5" to 10" LCD monitors. 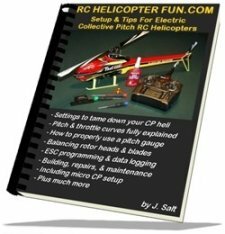 They are portable, light weight, will generally run fine off the power from a 3S LiPo battery, and easy to hook up to the video receiver through RCA type AV cables. The advantages to displays over video goggles is several people can be viewing one at once, they are inexpensive, and if you get motion sickness easy, might be a little easier on your stomach. The disadvantages are the image is not as large or perhaps a better word is "immersive" so you don't get that same "in the aircraft flight experience". They can also be hard to see outdoors during the daytime (even with display shades in place I find). One thing to be aware of when using a monitor as your FPV display device is to select one that doesn't have the auto blue screen feature that pops on whenever the video signal gets weak. You want one that will still transmit a poor signal. I had my first FPV crash because of this very reason. That link takes you to the full story of what happened. Make sure the monitor you are looking at specifically states it has "No delay, no blue screen or black screen". This is the screen I should have ordered... It's even less costly! 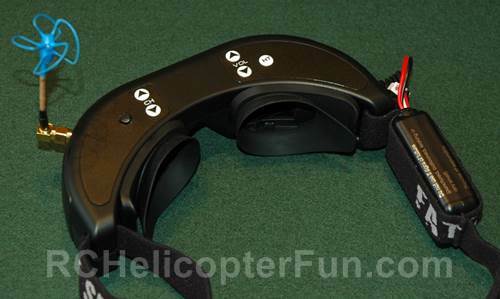 Video goggles generally are most FPV pilot's first & favorite choice. Good video FPV goggles completely block out any sunlight from entering into the nice soft eye cups and completely immerse you into the image and flight experience. It's not complete edge to edge total image immersion, it's more like looking at a big screen TV from several feet away or being near the screen in a movie theater; but it's still way better than looking at a small LCD display screen. Video goggles with at least 640x480 resolution give decent FPV video playback quality. Fat Shark is one of the most popular brands of FPV goggles on the market right now with several different models to choose from. I use the Fat Shark Dominator FPV goggles myself due to their low cost, decent resolution, and good overall quality; not to mention the built in video receiver and head tracker options making them very easy to hookup and portable. 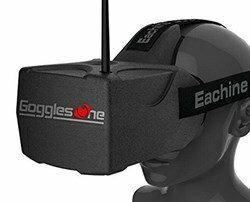 A lower cost viewing option to true FPV goggles, are "FPV Headsets". They contain a small LCD display screen placed in a box (too keep the light out), that you wear on your melon. They are quite bulky because the screen has to be placed at a distance from your eyes for them to be able to focus correctly; this results in a fairly large viewing apparatus. Still, if your FPV budget excludes goggles, FPV headsets provide a fairly immersive experience similar to goggles without breaking the bank. Some people do get a little queasy feeling when they use video goggles the first few times but I found after several minutes of using them, the experience got really comfortable and became second nature. As I mentioned in the camera section, I still find myself moving my head around quite a bit while flying thinking I'll be able to see in whatever direction my head is facing, which of course is not going to happen - you see where the camera on your aircraft is pointed not where the goggles are pointed. When looking at a display, I never do that "head movement" further demonstrating that goggles really do bring you right into the action. You can actually get head trackers for some FPV goggles or stand alone head trackers that use gyros to detect your head movement and transmit that back to the video camera onboard your aircraft so if you look down & right with the goggle on, the camera automatically pans down and right. This is an advanced FPV add-on and not something you will generally mess around with at first; but the option is out there later on if you find you resemble a "bobblehead doll" while flying with video goggles on. I thought I would mention this option as well because it is available if you are on a tight FPV budget. 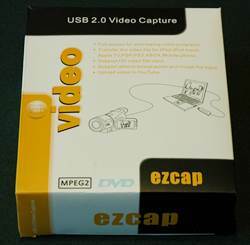 You can get USB to analog RCA video capture adapters to plug your ground station receiver video RCA output into your laptop USB port for viewing. This is a low cost option that of course has the same basic drawback of the smaller LCD monitors such as poor display visibility in bright daylight. There is one other BIG potential issue with this FPV viewing method however that you must be aware of. There is a delay (correctly called latency) that occurs during the analog to digital conversion process so you are not viewing on the laptop display in real time what the aircraft is seeing and doing. If the delay is significant (much more than a second), it's very difficult to control the aircraft being so far behind the eight ball. The faster and more responsive your FPV aircraft, the harder it gets to control if there is any sort of image latency. There are many variables here such as the speed of your laptop's processor & graphics card, so I'm not saying it won't work, I just want to point out that one show stopping problem you may run into if you choose to use this FPV display option. For FPV racing, it's basically impossible as things are happening way too fast. 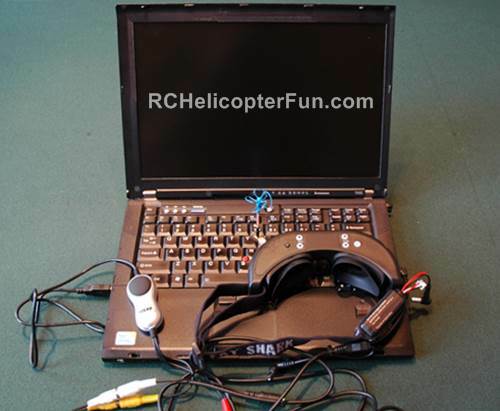 Laptops on the other hand do have a great secondary FPV application and that is to use them as a digital video recorder for your FPV flight while you view the flight though a separate monitor or video goggles. 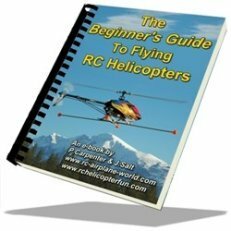 With the same USB to analog RCA video cable and recording software, you can use your laptop to record your FPV flights in a digital format for downloading/sharing. You can of course also get stand alone DVR's (digital video recorders) or display monitors or video goggles with DVRs built in so there are several digital recording options out there should you feel the need to record your flights.